The hottest teenage athlete in the West Midlands, England is tipped to win The Zimbabwe Young Achievers Sportsperson of the year award 2018. 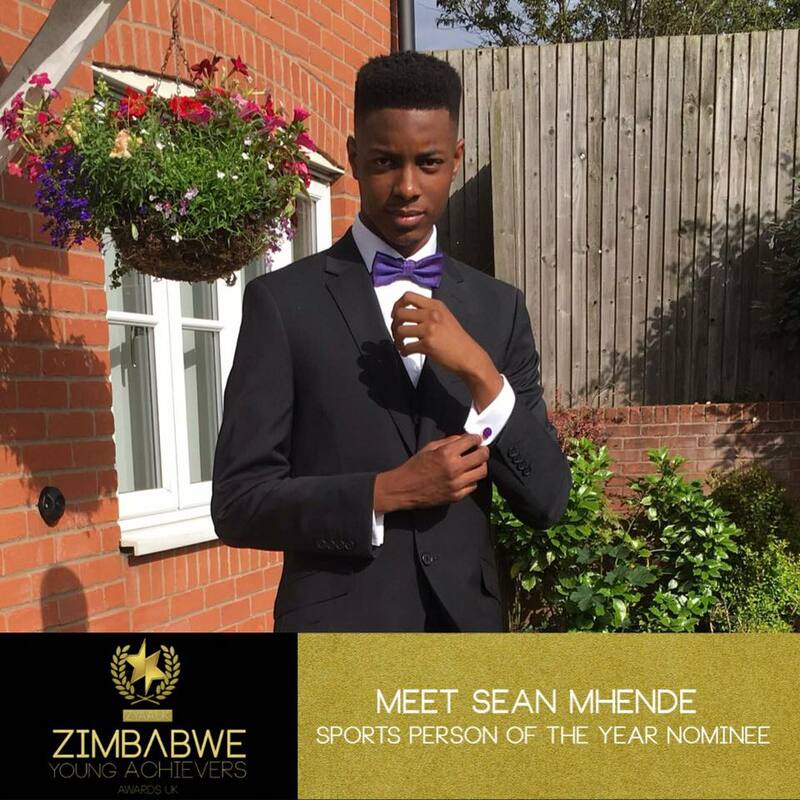 Sean Mhende, 16 recently was selected for the England Midlands Under-20 athletics team is one of the brightest prospects in West Midlands. Mhende specialises in track and field events – sprints, triple and high jump is in the AASE (Athletics Academy in Sporting Excellence) where he is receiving specialist athletics training until he turns 18. He came to England when he was one year and seven months old, has been on a steady rise in both relays and triple jump. He holds a personal best of 13.25mettres in triple jump which saw him rising from last year’s position of 83 to 18 in this year’s Under-17 rankings. He is now ranked at position 126 from 379. His scorecard has been impressive and only recently he represented England Under-20 at the Welsh Athletics International where he scored a personal best of 13.25m in triple jump. He also made it to the prestigious IAAF Diamond League 2018 which was held at Birtchifield Harriers in Birmingham.